格言："Firme y feliz por la unión"
^ 1.0 1.1 Ethnic groups of Perú. CIA Factbook. [30 October 2013]. ^ 2.0 2.1 2.2 2.3 Peru. World Economic Outlook Database. International Monetary Fund (IMF). October 2016 [2017-01-21]. ^ Gini Index. World Bank. [21 November 2015]. ^ "Fujimori: Decline and fall". BBC News. 2000年11月20日 [2007-07-21]. 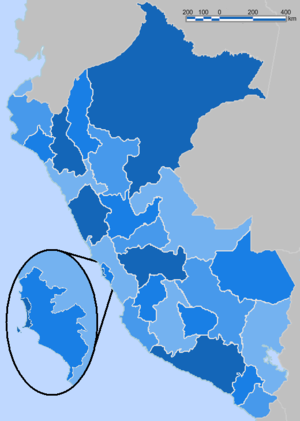 ^ Peru. 《经济学人》. 2007年10月17日 [2007-07-18]. ^ Jeffrey Clark. Building on quicksand. humanrightsfirst.org. 2000年4月 [2007-07-24]. （原始内容存档于2007-08-13）. ^ 赵晖. 加西亚正式当选秘鲁总统. 新华网. 2006年6月22日 [2008-02-09]. ^ Grupos Parlamentarios. Congreso de la República del Perú. [2008-01-05]. （原始内容存档于2007-12-29）. 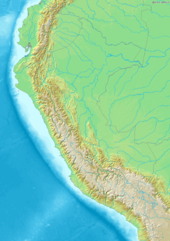 ^ Peru–Chile border row escalates. BBC News. 2005年11月4日 [2007-05-16]. ^ The Impact of the Potato: Jeff Chapman relates the story of history’s most important vegetable.. History Magazine. ^ 赵凯，陈威华，冯俊扬. “馬鈴薯之乡”秘鲁的馬鈴薯情结. 新华网. 2008年11月17日. ^ 董博 (编). 世界“馬鈴薯之乡”秘鲁馬鈴薯有不少怪名. 环球时报. 2008年10月18日. ^ United States and Peru Sign Trade Promotion Agreement. Office of the U.S. Trade Representative. 2006年4月4日 [2007-05-15]. （原始内容存档于2009年5月6日）. ^ 《2006年世界人口展望》第44－48页 (PDF). 联合国. [2007-07-29]. ^ Migraciones Internas en el Perú. Instituto Nacional de Estadística e Informática. [2007-05-15]. ^ Elizabeth Orlow. Silent Killers of the New World. millersville.edu. [2008-02-10]. （原始内容存档于2007-11-02）. ^ Perfil sociodemográfico del Perú. Instituto Nacional de Estadística e Informática. [2007-05-15]. ^ El analfabetismo en cifras. Portal Educativo Huascarán. [2007-05-15]. （原始内容存档于2007-06-29）. ^ The Peruvian Gastronomy. 美国驻秘鲁大使馆. [2007-05-15]. （原始内容存档于2007-05-21）. Dillehay, Tom, Duccio Bonavia and Peter Kaulicke. "The first settlers". In Helaine Silverman（ed.）,Andean archaeology. Malden: Blackwell, 2004, pp. 16–34. Haas, Jonathan, Winifred Creamer and Alvaro Ruiz. "Dating the Late Archaic occupation of the Norte Chico region in Peru". Nature 432: 1020–1023 (December 23, 2004). Schydlowsky, Daniel and Juan Julio Wicht. "Anatomy of an economic failure". 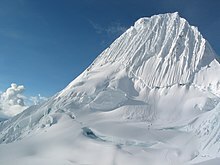 In Cynthia McClintock and Abraham Lowenthal（ed.）,The Peruvian experiment reconsidered. Princeton: Princeton University Press, 1983, pp. 94–143. Suárez, Margarita. Desafíos transatlánticos. Lima: FCE/IFEA/PUCP, 2001. The Economist. Peru. June 12, 2007. BBC News. Peru–Chile border row escalates. 2005-11-04. Congreso de la República del Perú. Grupos Parlamentarios. Oficina Nacional de Procesos Electorales. Elecciones 2006. Ley N° 27867, Ley Orgánica de Gobiernos RegionalesPDF (305 KiB). November 16, 2002. AndesHandbook. Huascarán. June 2, 2002. Instituto Nacional de Estadística e Informática. Perú: Compendio Estadístico 2005PDF (8.31 MiB). 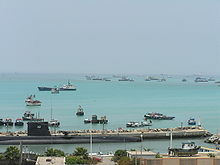 Lima: INEI, 2005. Banco Central de Reserva. Cuadros Anuales Históricos. Banco Central de Reserva. Memoria 2006. 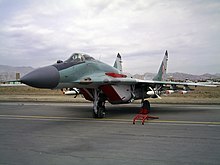 Lima: BCR, 2007. Instituto Nacional de Estadística e Informática. Condiciones de Vida en el Perú: Evolución 1997–2004. Lima: INEI, 2006. Office of the U.S. Trade Representative. United States and Peru Sign Trade Promotion Agreement. April 4, 2006. United Nations Development Programme, Human Development Report 2007/2008. New York: Palgrave Macmillan, 2007. Instituto Nacional de Estadística e Informática. Migraciones Internas en el Perú. Lima: INEI, 1995. Instituto Nacional de Estadística e Informática. Perfil sociodemográfico del Perú. Lima: INEI, 1994. Portal Educativo Huascarán. El analfabetismo en cifras. April 3, 2007. United Nations. World Population Prospects: The 2006 Revision. HighlightsPDF (2.74 MiB). New York: United Nations, 2007. Bayón, Damián. "Art, c. 1920–c. 1980". In: Leslie Bethell（ed.）,A cultural history of Latin America. Cambridge: University of Cambridge, 1998, pp. 393–454. Concha, Jaime. "Poetry, c. 1920–1950". In: Leslie Bethell（ed.）,A cultural history of Latin America. Cambridge: University of Cambridge, 1998, pp. 227–260. Martin, Gerald. "Literature, music and the visual arts, c. 1820–1870". In: Leslie Bethell（ed.）,A cultural history of Latin America. Cambridge: University of Cambridge, 1998, pp. 3–45. Martin, Gerald. "Narrative since c. 1920". In: Leslie Bethell（ed.）,A cultural history of Latin America. Cambridge: University of Cambridge, 1998, pp. 133–225. Romero, Raúl. "Andean Peru". In: John Schechter（ed.）,Music in Latin American culture: regional tradition. New York: Schirmer Books, 1999, pp. 383–423. Turino, Thomas. "Charango". In: Stanley Sadie（ed.）,The New Grove Dictionary of Musical Instruments. New York: MacMillan Press Limited, 1993, vol. I, p. 340.